An immediate New York Times and international bestseller. Whatever your age, Swedish death cleaning can be used to help you de-clutter your life, and take stock of what’s important. 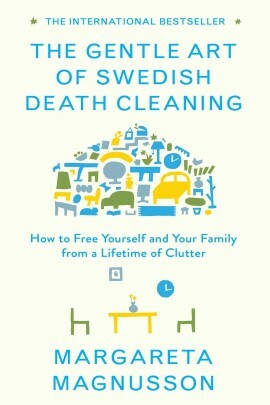 The Gentle Art of Swedish Death Cleaning offers indispensable advice on questions you will inevitably face: How do you deal with your secrets? Sort through photographs and letters? Avoid heirs fighting over your belongings after you are gone? A practical book based on personal experience and anecdotes, The Gentle Art of Swedish Death Cleaning will also guide you in making the process uplifting rather than overwhelming: it focuses on the importance of living – even through death cleaning. 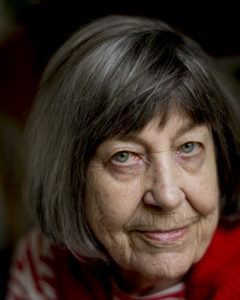 Swedish-born Margareta Magnusson is, by her own admission, aged between 80 and 100. She has death cleaned for herself, and for several family members after their passing. When her husband died, she had to downsize her home: the experience forced her to recognize the power of “death-cleaning” and the concerns that must be addressed to do it with thought and care. Done well, the approach not only makes things easier for your loved ones later on, it allows you to revisit the lifetime of memories accumulated with your things.